Yesterday we attended a triple baptism. 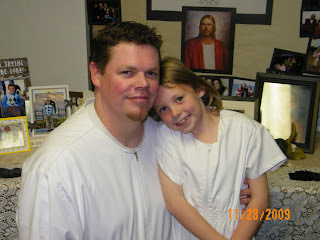 Two of our grandchildren and one of their cousins was being baptized and combined their ceremonies. The entire affair got me thinking about traditions and the things we do as families, communities, or friends to bind us together – the ties that bind, so to speak. This, of course, was a religious ceremony, but our traditions don’t have to revolve around religion. Many traditions are tied to family. I've always considered my family my Higher Power. Around sixty people attended the baptism, all but a few of them family members, and although it was quite chaotic, it was also a lot of fun. One little boy tried to stick his hands in the baptismal font. Babies cried throughout, except for our Emma of course, who behaved perfectly. The piano was notoriously louder than the singers. And all the food at the reception was gone by the time the adults got there! Must’ve been the “other families'” grandchildren. My son-in-law’s family goes bowling every Thanksgiving Day and they use this opportunity to take an annual family picture since Mark’s sister is a professional photographer and they’re all together. Many of my friends hassle the nightmare that is Black Friday. You’ve noticed that here in the Lair, we’ve begun to have our own traditions. We celebrate our anniversaries quite uproariously with Sven, the Roman boys, and the Golden Rooster all playing prominent parts. We have a Christmas countdown. Even our invitation to guesting authors is a tradition we enjoy and hope our readers do too. In The Fiddler on the Roof, Tevye says “And how do we keep our balance? That I can tell you in one word: TRADITION!" What do you readers do to “keep your balance," especially during the hectic holidays? Do you have rituals, ceremonies or traditions that keep you centered during the year? 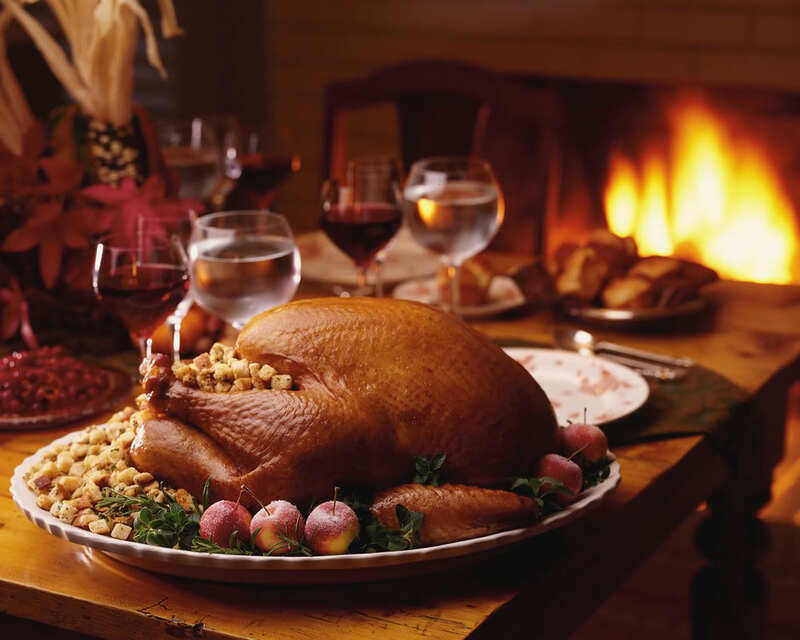 Or do you have a favorite holiday recipe you’d like to share with us? Below is one of my favorites for using the left-over turkey and dressing (if you have any!). Thanks to my sis who passed it on to me. Enjoy! Layer diced turkey in 9x13 pan. Mix soups and sour cream. Spread over turkey. Sprinkle 1 package herb-seasoned stuffing mix over and pour 2 cups chicken broth as needed over dressing. Bake at 350 degrees covered for 30 minutes and 5 minutes more uncovered. So I hosted Thanksgiving this year, although I don't know if "hosted" is the right word. We didn't have anybody over but ourselves. My family gathered in Michigan where my parents live, my husband's family gathered in California where his brother and his family are based. But we stayed home. All by ourselves. I'll have been married ten years this coming summer, and it's taken us the full ten to get the hang of this sharing the holidays business. It's no easy thing. You want to respect each other's family traditions while making the space to create your own traditions. Throw in kids, pets, in-laws, limited vacation time and several hundred miles and you've got a real quandry. At first we simply switched sides every year. If his family got Christmas, my family got Thanksgiving. The next year we flip-flopped. But we live twelve hours from my folks, and six from his. Then we had a baby. Then we had two. When #2 was born I called a halt to holiday travel. I said, "We love you but we are not leaving this house for the holidays anymore. You are all welcome to come here, I will love having you. But I will not take this show on the road." I stuck to my guns on it, too, and people understood. They weren't happy but they got it. Babies aren't easy-going travelling companions, and they require a lot of stuff. A lot of routine. A lot of tending. All easier done where all the equipment is near at hand. Then my husband's parents had their 40th wedding anniversary, and all they wanted for a present was a Christmas with everybody together. So we packed up the kiddoes, got on a plane and spent the holidays in California. And it was wonderful. The baby was a year old, on her feet and tremendously cute. 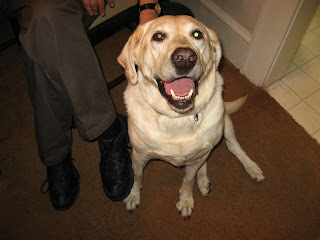 Her cousins fawned over her and we had a lovely time. I thought, "Goodness, why was I so dead set on never doing this again?" And since we'd just done one Christmas in California, it was only fair to do the next one in Michigan. So we loaded up the old station wagon and hit the road. We made it to Chicago before my oldest's notoriously touchy stomach decided to act up. I sat backwards in the front seat holding a well-used barf bowl all the way to Detroit, and I remembered why travelling with kids can be problematic. I thought to myself, "Next year is an At Home Year." And thus my current philosophy was born. One year for his family--they get to pick whether they want Thanksgiving or Christmas & we show up wherever they say with smiles on our faces. The next year for my family, same deal. But the third year? The third year we stay home. Anybody who wants to join us is welcome but we are not budging. This--as you may have guessed--is an At Home Year. We've had an incredibly good time. A nice, leisurely dinner on Thanksgiving. A brisk hike along a deer-tracked foot path afterwards. Pie and tea in front of How The Grinch Stole Christmas. We laid around like slugs the day after, and the day after that we hosted a Post-Thanksgiving Left-Overs Potluck for other folks who were sans family for the holiday. We all got together, shared food and conversation, and enjoyed being home. And part of that enjoyment is from just being here, where we live, cementing friendships with people we like. But another part of it is knowing that next year, we'll go to our family and be with them. We'll demonstrate our love for them by taking this travelling circus on the road, and sharing their traditions, their homes, their food. And we'll be delighted to do it. What about you? How do you share the holidays? Have you ever spent a holiday alone? What are your traditions? Your family's traditions? What did you take from your childhood, and what did you leave behind? How do you balance your family's traditions with your spouse's/partner's? No, I'm not asking for your best Internet forward joke...although I have a great one best told in a bar with an Irish accent. What I want, what I'm craving is a funny book to read. A light-hearted fare or one where there are brilliant moments of comic relief. The first Susan Elizabeth Phillips (SEP) book I ever read was NOBODY'S BABY, BUT MINE. Now, this wasn't a slap-stick funny book. But when she removes all the marshmallows from the cereal box to make it more healthy for him and he says, "I've married a cereal killer! ", I cracked up! When she insists on driving up the North Carolina mountain in a storm to have her baby, yep, got me laughing out loud! And it also had me back at the bookstore the next day buying everyone of SEP's back list. My friend, Jo Davis,(author of TRIAL BY FIRE, UNDER FIRE and HIDDEN FIRE), who reads mostly suspense, claims AIN'T SHE SWEET was the funniest book she can remember reading. One of her favorite parts? When the dog in the front seat beside the heroine farts at her. The heroine thinks, "yep, even the dog hates me. 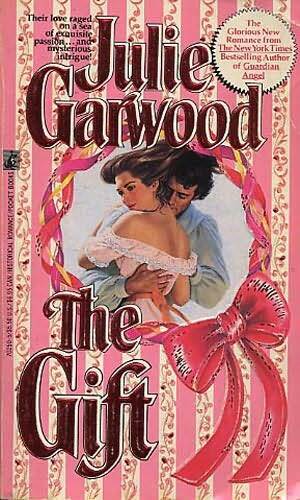 Another dear friend, Sandy Blair, (author of A MAN IN A KILT, A ROUGE IN A KILT, A THIEF IN A KILT and A HIGHLANDER FOR CHRISTMAS) says the funniest book she can remember was Garwood's THE GIFT. What makes it so funny? Sandy says it's knowing what's coming next from the heroine's POV and the hero's exasperated reaction to what he perceives as illogical. Garwood sprinkles these gems throughout all her books. One of the reasons she's one of our favorite feel-good authors. 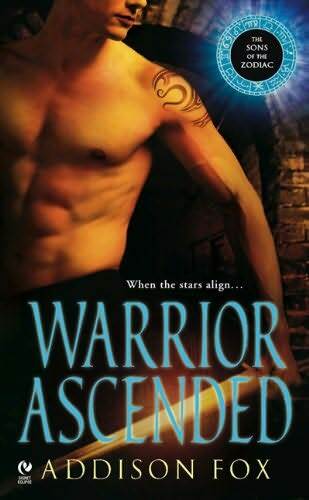 Addison Fox, (author of WARRIOR ASCENDED: The Sons of the Zodiac, coming in March 2010), couldn't pinpoint a specific book by Nora Roberts, but says one of her favorite reasons to read Nora's books is her ability to have witty dialogue that relieves some of the suspense and have her readers chuckling in different places throughout her books. One of the funniest books I've ever read was Linda Howard's TO DIE FOR. This book works in so many ways. First it is in first person, (not my usual cup of tea), and because we're mostly in the heroine's head we understand why she does the things she does, even if she admits they're stupid. We also get to see the hero's frustrations at her actions, he's banging his head on his desk. This is also a different kind of suspense for Ms. Howard, totally at odds with her usual dark fare. When I was reading it, Rocky-the-wonder-dog was parked on the bed beside me. I laughed so hard the bed shook and he gave me that irritated male dog look (very reminiscent of irritated male human look). I had to stop reading long enough to stop laughing in order to read some more! 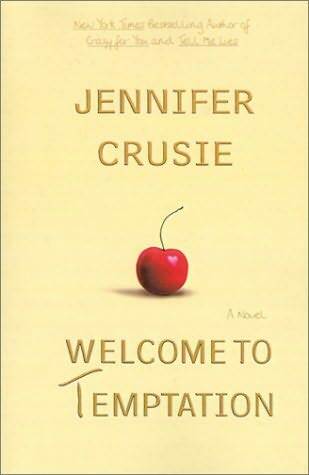 Jane Graves, a romantic comedy author, (HOT WHEELS AND HIGH HEELS, TALL TALES AND WEDDING VEILS), points to any book by Jennifer Crusie. Jane says, "I always feel a special sense of delight at her word choice, her sentence structure, and especially her dialogue. Her books are just flat-out fun to read, sentence after sentence, page after page. They're not funny in a laugh-out-loud way, at least not to me. They're just...fun. She's one of the few authors out there who can entertain me with almost every sentence she writes." My daughter, Alison, agrees whole heartily. 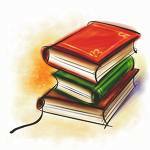 In fact, the idea for this blog originally titled, "where have all the funny books gone? ", came from my daughter. She was going through a pregnancy, was home on maternity leave a few weeks early and was looking for books to read. She asked me, "Mom, I'm tired of reading serious, dark books. I want to laugh. I need a funny book, do you know of any?" So, I need some help. Who would you like to read? What writer makes you laugh? Who do you read when you want a good chuckle or to relieve some of the stress in your own life? Today's guest, Lori Brighton, is giving away three copies of her fabulous debut, Wild Heart! Congratulations! Please email contact information to Lori via the link on her website. Thanks to everyone who stopped in today. 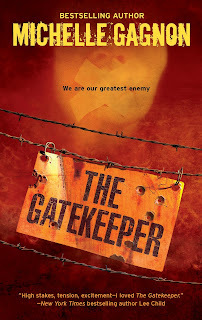 Today Kensington debut author Lori Brighton makes her first visit to the Lair. Lori’s first book, a Victorian paranormal called Wild Heart, is out now. Welcome, Lori! We love Call stories in the Lair. Would you like to share yours? I’d been writing for over 6 years with lots and lots of rejections. As a last resort, I entered Wild Heart in a few writing contests. In one contest the final judge was Hilary Sares, formally at Kensington. She ended up not only giving me first place, but also requesting the full. Almost four months went by and I hadn’t heard a word. I figured the request would be yet another rejection and moved on, attempting to figure out where I wanted to go in my writing career. Then the phone rang. The caller I.D. said New York, but I knew no one and so didn’t answer. It was only later after listening to my messages that I realized it was Hilary and she wanted to buy my book! That's a great story! Would it be fair to call Wild Heart a Beauty and the Beast story? Tell us about the hero and heroine of Wild Heart. Ah, the fairytales! I love Beauty and the Beast, it’s probably my favorite. I’d always thought of Wild Heart more as a Tarzan/Jungle Book sort of story, but actually you’re right. In Beauty and the Beast, Belle ‘saves’ the Beast and that’s sort of how it is in my book. Leo is very alpha male. I tried to keep him true to life; what a real person would be like if they’d experienced what he has. On a trip to India, his parents were murdered. He was forced to stay in hiding in a country he knew nothing about. Much like The Count of Monte Cristo (one of my favorite books), vengeance has kept him going. He’s very determined and blunt, but he’s also very honest and loyal. He definitely doesn’t let people push him around. Ella is the opposite. She’s very sweet and caring. She’s always been told what to do because she’s a woman and she’s poor. She’s almost too caring at times. She also has an underlying sense of guilt because of her powers. A tiny part of her thinks that perhaps her abilities are evil. When she meets Leo, he teaches her to believe in herself, and she teaches him to let go of the past and see the beauty around him. What’s the biggest problem these two characters have? Internally, Ella has to learn to accept her abilities and realize that her gift is not a sin, but a blessing. Leo, on the other hand, has to learn to accept love and the beauty around him, while letting go of his need for revenge. 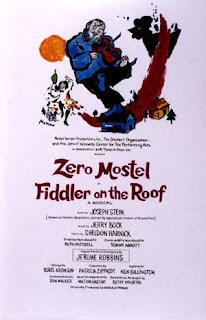 Externally, there is a plot that involves secret societies and power hungry people intent on getting rid of Leo and using Ella’s abilities for their own greedy purposes. It’s definitely a life or death situation kind of book. Did you have particular inspiration for this story? This is going to sound odd, but the Disney Cartoon Tarzan. My son was watching the movie a few years back. Around the same time, I saw a documentary on Discovery or some equally educational channel about feral children. I’d seen them both rather close together and thought, hmm, what it would it be like if my hero had been lost in the wild during his childhood? I also tend to like more alpha males and you couldn’t get a male more alpha than one who had survived on his own in a foreign country. Can we have a peek inside the book? She held his gaze even though she couldn’t make out his emotions. They hadn’t been alone in days. The silly thing was, she missed him. “Do you trust me?” he asked her again. He didn’t smile, he didn’t smirk, and she was left wondering how her words made him feel. His gaze burned into her, a predatory amber in the dim light of the carriage, and she couldn’t quite seem to catch her breath. He reeked of danger, yet mesmerized by the glint in his eyes, she crossed the small area to sit beside him. Why, she couldn’t say. Perhaps, she merely wanted to see what he’d do next. And then he surprised her. Leo reached out and trailed his finger down the side of her face. A delicate touch that sent shivers over her skin. “In India hands are very important,” he said softly. To stress his point, his fingers trailed down her arms. Slowly, he pulled the white gloves from her fingers, one by one. When her hands were naked and exposed, he stroked the sensitive skin of her palm. That familiar ache grew in the pit of her belly, swirling, tightening, lower…lower. “They paint beautiful, intricate designs over their hands.” His thumb stroked her wrist, melting her muscles and she sank into the plush cushion of the seat. Wow! When you’re not writing, what do you enjoy doing? I’m always writing! Seriously, I’ll be buried with my laptop. lol. But when my husband and son can get me away from the computer, I like to hike and travel. We go to state parks a lot. I also like to draw and paint, but haven’t done that much lately. I have a lot of ideas for some new books and can’t wait to get started, just have to decide which to do! I might even try some Young Adult. But the next book that will be out is my second Kensington book, not slated until the beginning of 2011! It will be a spinoff of Wild Heart. It’s an action/adventure romance that takes place in India and still has that paranormal element. The hero is Colin, a secondary character in Wild Heart. I had a lot of fun writing this book and can’t wait for it to hit shelves. I’m hoping to put an excerpt on my website soon. Thanks so much Romance Bandits, for letting me blog! It’s been great fun! Since I’m a debut author and I’m in favor of supporting debut authors, let’s share! Besides my own AMAZING book, tell us about a debut author/book you’ve discovered this year! Leave a comment or just say hello, three people will win a copy of my debut book Wild Heart! 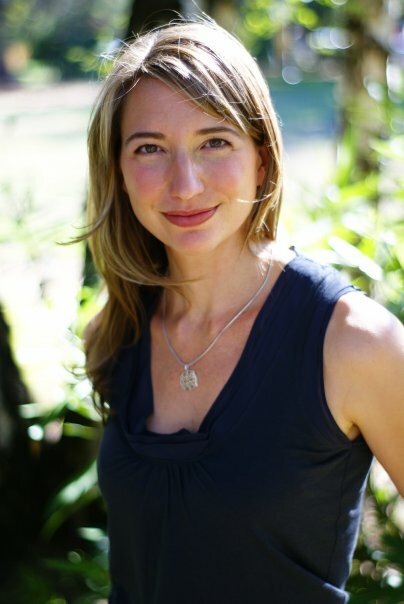 For more about Lori and her work, visit her website. Thanks for joining us, Lori! A big thank-you to everyone who stopped in and kept me company today. Y'all are the best! First the trivia answers: As Pissenlit noted, the Silver Surfer's real name is Norrin Radd. His beloved was Shalla Bal. Agricola aquam portat = The farmer carries water. (Agricola = farmer; aquam = object form of water , and I can't remember the name for that form; portat = he carries). A sampler of SFF novels goes to Pissenlit, and one to Keira. The historical sampler goes to Jane. Winners can email snail mail info to me me via the link at the top of the blog. Please be sure to put my name and Thanksgiving in the subject line. Congratulations to the winners and thanks again to everyone who stopped by. No, that's not gibberish in the title. It's how the first line of the hymn "We Gather Together," my Thanksgiving favorite, translates into Latin. My high school Latin teacher provided translations of that hymn along with "Row, Row, Row Your Boat" and "Ruldolph the Red-Nosed Reindeer." I no longer remember the rest of it, but there's a full Latin translation of the lyrics here. This is all a lead-in, of course, to the fact that it's Thanksgiving Day in the United States, a time when many Americans "gather together" with family and friends to commemorate the things and people for which we're grateful. Our blog community gathers daily, and I hope some of you will pop in today to join me and the gladiators and the cabana boys and maybe take the rooster home for a visit. Sometimes we're thoughtful, sometimes we have fun, and sometimes we mix our moods. No matter what feeling rules a particular day, I'm grateful for the Lair and its denizens, actual and virtual (because, really, there's power in imagination), and for all our buddies. Just FYI, Sven and Demetrius are currently squabbling over who gets to carve the turkey, with Demetrius maintaining that his sword will do much better than that "dinky little knife" Sven is holding (it's a carving knife, actually, "dinky" only in relation to a sword). I'm just keeping my head down, trying to be invisible. They're the last two I want to referee between, and asking the rooster to help would be like throwing thermite on a fire. When I was growing up, my mom worked at the college I later attended. Her secretarial position in the registrar's office let her get to know a lot of students. Those who lived too far away to go home for Thanksgiving often wound up at our dining room table. While I didn't always appreciate that at the time, I'm now thankful for the way those guests broadened my perspective on holidays and taught me to look beyond my immediate circle on such occasions. 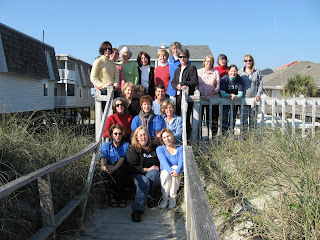 Some of the students Mom befriended became friends of our family, too. I recently saw a couple of them at a gathering of the women in my college class. We go to the beach for a weekend every year, whoever can turn up. 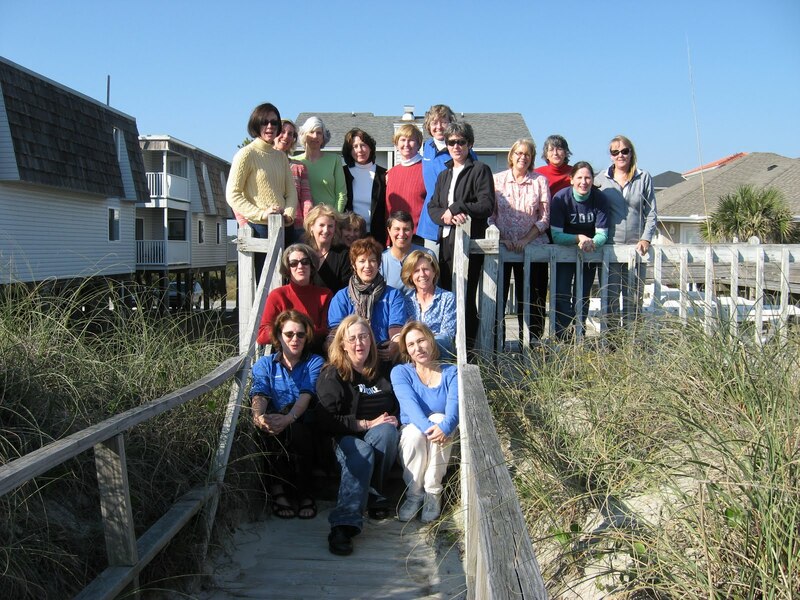 Even though there were comparatively few women in our class, I didn't know most of them well. I transferred in as a sophomore and so missed the orientation that would've brought me into contact with them. I'm pleased to have made, after all these years, friends among the women I missed getting to know the first time around. So I'm grateful to Sue M. and Ann "Wicked" for pushing me to go the first time and for all the women who've participated during the years for weekends of camaraderie and memory. 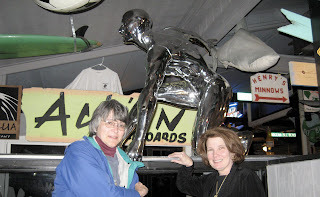 And to Van for posing with me and the Silver Surfer in the photo at the bottom of the blog (with only minimal wine involved). My high school friends have started a community on Facebook to connect those of us who used to live near each other but have since scattered. I appreciate the ability to keep in touch with old friends and our collective past even though the level of activity on Facebook sometimes makes my mind go "tilt." Reading comic books ignited my imagination. If a couple of guys from Cleveland, Jerry Siegel and Joe Shuster, hadn't invented Superman, the superhero from whom all others flowed, I wouldn't have had that stimulus. So I give thanks for the creators of the many imaginary worlds I love and for the friends I've made through fandom and writing. I'm grateful for the education that made me an insatiable history geek and for scholars and hobbyists who feed that interest. And for the dh's willingness to carry home suitcases full of books. As we had brunch on our honeymoon in San Francisco, on the first full day of our married life, we looked down from the glass-sided restaurant atop a hotel and were jointly thrilled to discover a bookstore a few blocks over. We went there immediately afterward and added to the total weight of our luggage. We spent our first New Year's together with him building and staining bookshelves in our living room because our joint book collection kept growing. A few years later, as we walked through Gatwick Airport to catch our flight home, he had to stop every few feet and renew his grip on the suitcase. The woman behind him said, in a friendly voice, "What are you carrying--bricks?" He said, "No. Books." And sort of forced a smile. If he wishes the customs agent hadn't shared the news that books were duty free (at least then--except for dealers, I think--but that may have changed), he sweetly keeps that to himself. And of course I'm grateful to have the dh and the boy (who once replied to a question about what he wanted to do when he grew up by thinking a moment and then saying, "I'd like to be someone who doesn't get arrested," a goal his father and I heartily support and for which we are thankful). The boy is taller than I am now and never loses an opportunity to remind me. Our lives are enriched by our friends and extended families, who're also celebrating at their homes today. And, foolish as this may sound to some of you, by our yellow lab, the latest in the string of dogs who discovered they could be bosses of us. We're having dinner with friends, who are contributing fabulous brownies for dessert. Since I'm utterly incapable of creating such a thing "from scratch," I'm grateful for people who can and for the warmth this family's presence will add to our table. What are you doing today? 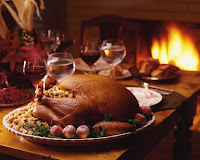 Do you have a favorite Thanksgiving memory? 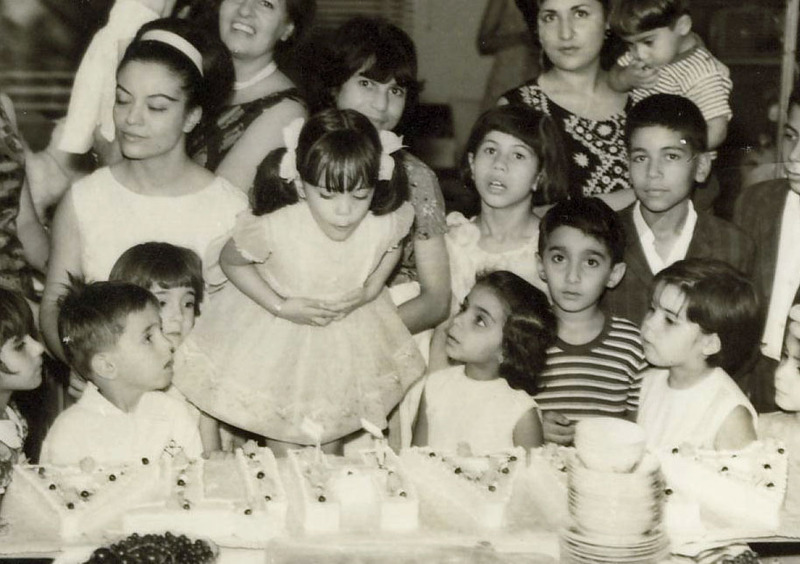 A holiday that seemed bound for disaster but turned out well after all, or vice-versa? Have you made a friend later in life that you missed out on the first time around? Do you love the Silver Surfer? Do you remember the name of his girlfriend, whom he never stopped missing? Do you have a friend who'd be willing to join you and the Surfer in a photo? I have SFF samplers from DragonCon for two commenters today. To kick off the holiday season, I'm also including below the recipe for the dh's holiday favorite. Every year, his late mother made her Aunt Lillian's [Cringe-Proof] Fruitcake (as adapted, so it doesn't feed a battalion, by the dh's sister and brother-in-law). This makes a spice cake with candied fruit and nuts in it. Be sure to check ingredient list and adapt for any allergies. We use one large loaf pan and two small ones, filling them a couple of inches each, per batch. This cake does not rise. When cool, remove from pan and wrap in brandy-soaked dish towel (optional). Wrap in plastic and refrigerate until serving, sprinkling brandy on the cake every few days if desired. Everyone's singing along, right? Right! We all know this song! 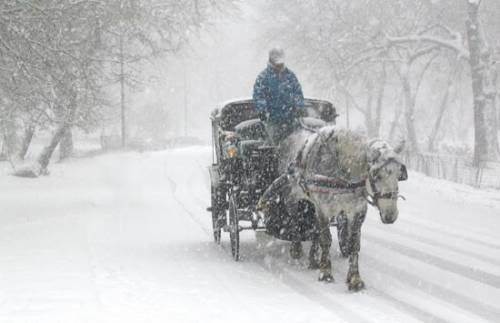 But seriously, who in the world goes to their grandmother's house in a horse-drawn sleigh? When my brothers and I were young and first heard the "Over the River" song, we wondered why the words didn’t mention the part where we drove through that long, dark tunnel under the airport. So we made up our own lyrics. And into the city we go. Yes, that's more like it! And snow? We didn't know anyone who drove through snow. No comprende! We grew up in Southern California, near the beach. I didn’t see snow until I was … well, much older. My dear husband, who grew up in Buffalo, New York, still teases me about the first time I saw snow falling. It was my first trip to his hometown and looking out the airplane window, I saw all this sparkly, shiny, colorful fairy dust flying in the air. It was beautiful! I asked him what it was, and he laughed and said, "That's snow." ("You idiot." No, he didn't add that part, but believe me, it was clearly implied in his tone.) I insisted that what we were looking at couldn't be snow. "No, it's too sparkly. 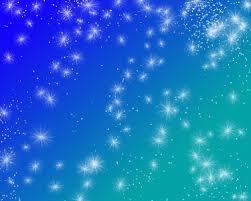 It looks like fairy dust to me," I said. You'll all be happy to know that I successfully repressed the memory of his response. So ... Where are you going for the holiday? How are you getting there? Will there be snow? Ahoy, there! 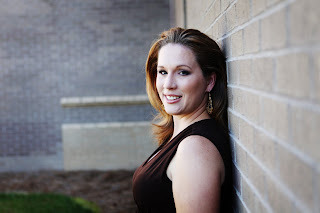 Please welcome talented thriller author Michelle Gagnon back to the lair. She's here today to express her feelings about the topic of literary piracy. Thanks for stopping by to share your thoughts, Michelle! We're happy to have you as a guest again. I received a Google alert last week for a website called, "Plunder.com." I clicked on it, and lo and behold, it led to a file sharing site. And there were all three of my books, in their entirety, available for free download. 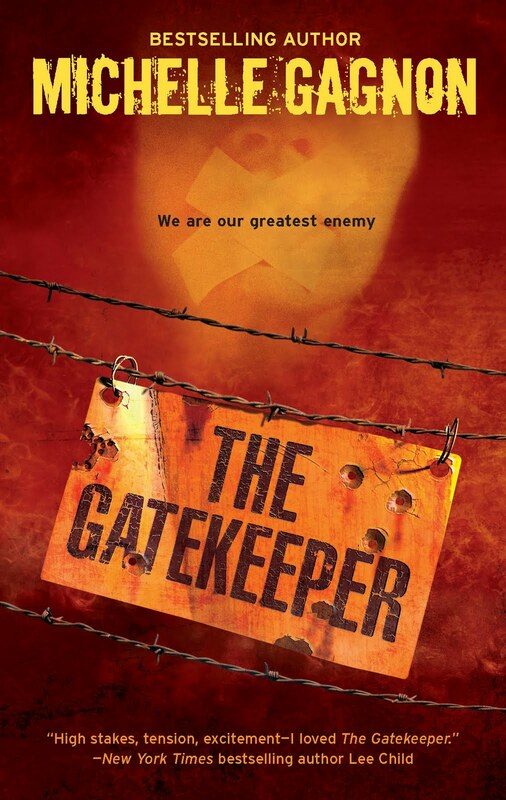 Including THE GATEKEEPER, which was just released two weeks ago. Obviously this is not a rarity, I know plenty of other authors who have been the victims of piracy. And to the site's credit, as soon as my publisher's legal department contacted them, the files were removed. But still--who knows how many free copies were downloaded during the few days that the files were posted? Ebook downloads still constitute a small portion of overall sales--but did the free files make a dent in my Kindle and/or Sony Reader sales? Impossible to say. The publishing industry is entering a new phase. They're now confronting issues that the music industry has been wrestling with for the past decade. Year after year, total music sales have declined, and industry insiders attribute much of that loss to the continued popularity of pirated songs. According to a report issued in January by the IFPI <http://www.afterdawn.com/news/archive/16667.cfm> , fully ninety-five percent of all online music downloads were unauthorized. The statistics are much lower for pirated books, but it's only going to get worse. As eBook readers come down in price, chances are they'll become as ubiquitous as iPods. And when that happens, this type of piracy will become more and more prevalent. Most authors who renewed contracts in the year since the financial meltdown saw their advances slashed by thirty percent or more. Combine piracy with the impact of the book price wars <http://killzoneauthors.blogspot.com/2009/11/book-price-wars.html> , and it'll become nearly impossible for most writers to eke out a living from their work. Last week Declan Burke <http://crimealwayspays.blogspot.com/2009/11/woe-is-me-etc-failing-writer-writes.html> posted a poignant message about why he's decided it's no longer feasible to pursue a career as a writer. Unfortunately, there's a chance that more and more authors will be forced into making the same decision. Our own John Ramsey Miller recently posted <http://killzoneauthors.blogspot.com/2009/11/dog-boy-wolf-man.html> about the difficulties writers face today, and how it only seems to be getting harder. Some people argue that self-publishing ebooks will fill this void. To be honest, I have my doubts. First of all, the benefit of an advance is that it enables an author to pay the bills while writing the book. You also receive editorial assistance, marketing help, and distribution. I can say for a fact that without that editorial help, all of my books would have suffered. Sure, I could hire an outside editor--but that would involve more money out of pocket. Throw in cover design, formatting, marketing materials...and my ebook would enter the marketplace down a few thousand dollars. So I'd need to earn at least that to see a profit. And if the marketplace is flooded with self-published books (which is already happening), how does an author stand out among the crowd? Even if you manage to claw out a niche for yourself, how do you sell enough books to earn a living? I know authors who are garnering a few thousand dollars a year from their ebooks, but that's clearly not enough to survive on. And it's only going to become more difficult. Sorry to be all doom and gloom, but the truth was that seeing my work posted for free struck me as a harbinger of worse things to come. I spent a year of my life on each of those books. If you factor in the total hours worked on them, I earned less than minimum wage for their creation. And now someone was giving them away, completely disregarding all of that effort. Someone was basically saying that they were worthless, so people might as well have them for free. I realize that "Rachell" probably didn't have all this in mind when she converted the files so they could be shared. But think of it this way. You can't leave a restaurant without paying for a meal, otherwise the next time you go, the restaurant will likely have closed since they couldn't pay their bills. A good meal costs money to produce; so does a good book. If you don't pay for things, down the road they won't be there for you. So if you love books, and want to continue enjoying the same wide selection down the line, for God's sake buy them. If you want to read them for free, get a library card. Anything else just makes you a thief, and in the end you'll be stuck eating mac and cheese. Michelle, thanks for sharing your views on this thought-provoking issue. It'll be interesting to see how everything unfolds in the months to come. Welcome Susan Gee Heino to the lair! 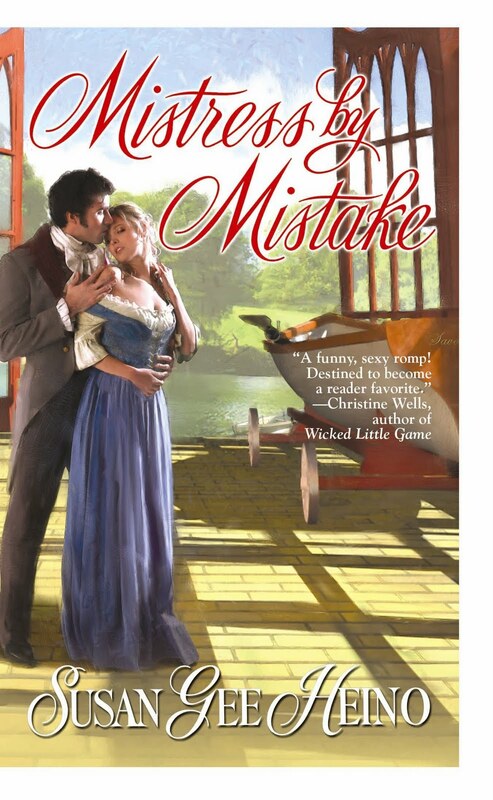 I have to admit that I've been waiting to host my good friend, Susan Gee Heino, and her new Regency historical debut for well over a year. She sent me a more traditional author photo to use fo r the blog but I prefer this one (he-he). Susan has a quick wit that is so evident in MISTRESS BY MISTAKE which has a release date of December 1st from Berkley Sensation. Treat yourself to an early Christmas present - or, more appropriately, reward yourself for surviving yet another family Thanksgiving celebration. Whatever the justification, discover this new author! Thanks for inviting me to hang with the Banditas, Donna! You gals always know how to throw a party here. And speaking of parties, it’s Thanksgiving here in the states this week and you know what that means: the dreaded House Party. Ah, yes. You get to stand in line for the bathroom, your vertebrae all crunch together after a night on the sleeper-sofa, and invariably somebody’s kid breaks a priceless family heirloom. All those lovely holiday traditions—beautiful and warm… except when you’re living through them. But what if we were suddenly a great, omnipotent being who could reach down and control all the goings-on at this year’s family get-together? Wouldn’t that be cool? No more snobby mother-in -law taking over your kitchen, no stick-skinny cousin Tina bragging how she can eat anything and never gain an ounce, and for the first time ever Uncle Bob-the-Lush would leave some beer for the other guys. But would Omnipotent Susan honestly be content to leave things well enough alone at that point? Heck no! Everyone knows a really great Regency house party must have a full complement of misunderstandings, secret affections, unlikely bedfellows and mischief galore. Throw in some honest-to-goodness emotion with true lovers longing, and that sounds like a gathering to remember! This is what I tried to do when creating the house party scenes in my up-coming debut, MISTRESS BY MISTAKE. Clearly I did not leave well enough alone there, either. What? Dashford was joining the group for dinner, after all? Did he not realize Evaline would be here? Oh, God. How could she face him so soon after they'd… well, afterward. She felt her nerves unhinge at the very thought. She struggled to keep herself calm, but her hands shook. The glass of lemonade she lifted to her lips in an effort to soothe the choking dryness of her throat wobbled, then slipped from her grasp. Lemonade splashed around her and nearly covered poor old Mr. Peterson who'd been seated, unfortunately for him, at her left. What a disaster this dinner was turning out to be! Yep, that dinner ends badly. And so do a few others before true love finally conquers all. And of course we see that in real life, too. Do we really want that Omnipotent Presence to reach down and spare us from an under-cooked turkey or an over-stewed Uncle? Probably not. It’s all these things that make our get-togethers special and our hearts grow fonder. Even for the snobby mother-in-law. So, what would you change about your family get-togethers if you could? What would your fantasy House Party look like? Share with us and one person will win a signed copy of MISTRESS BY MISTAKE! BIG THANX to everyone who turned out for our 06 Packer buddies Anthea and Lawson! Super congrats and thanx for the yummy recipes for Chocolate Tipped Log Cookies and Best Darn Sugar Cookies Ever! Please send your snail mail info. to anthea AT anthealawson DOT com to claim your copy of Passionate. I admit it - I'm a Food Network junkie. One of the things I knew I was going to miss when we moved back home to England was my daily dose of Food Network favourites. Now, I love shows like Iron Chef America, but I'm a total and utter fan-girl when it comes to Ace of Cakes. 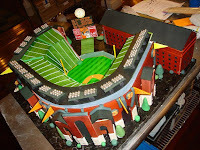 It's hard to resist Duff Goldman and the crew at Charm City Cakes. Duff, a former graffiti artist turned cake-maker extraordinaire appeals the rebel in me - you gotta adore a guy who likes to do things his way, against the odds and against the norms. Kind of like us romance writers! But, the thing I enjoy most about this show is the unbelievably creativity, skill and talent of the team as they create the most spectacular cakes. 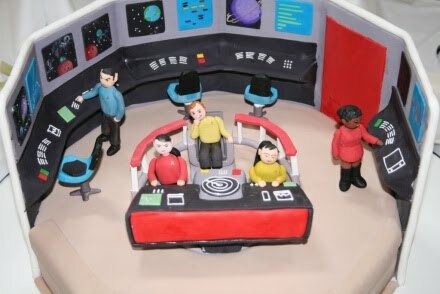 As someone who has zero capability for anything crafty, I can only watch in awe as they turn sheet cakes and fondant into amazing sculptures, from library carts to Hogwarts, from a shark ray called Sweet Pea to a Star Trek cake, from the Millennium Falcon to Wrigley Field! All of which got me thinking. I love fun cakes. 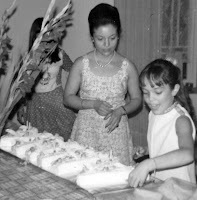 When I was little, my mum made me a chocolate train cake out of chocolate Swiss rolls and sweeties. There was also a house cake . There were name cakes, with each letter made from cake - both my full name, Anahita and Anna. 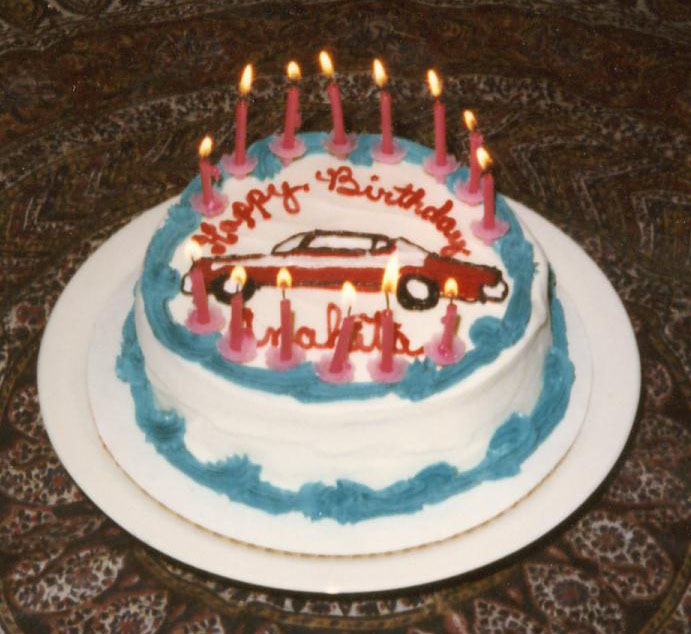 I also remember a cake in my teens with the car from Starsky and Hutch on it. I know Charm City Cakes don't deliver cakes to England *unhappy sigh*, but if they did, and I could afford their prices, what kind of cake would I want them to make for me? Hmm. Well, I collect penguins, so a penguin cake would work. I love cats, so maybe a pair of cat cakes - one black and one tuxedo, like Jersey Girl and CC. I write romances, so perhaps an aspirational cake - a romance novel with my name on it! 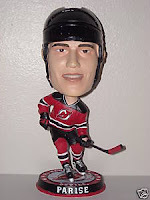 Or, some kind of hockey cake. A rink with mini-hockey players. A puck smashing into a cake. *g*. Maybe even a bobblehead cake of my favourite player. Now, that sounds like an Ace of Cakes type of cake! What about you? If Duff and his team were to make you a special cake, what kind of cake would it be? Welcome Anthea Lawson To The Lair! Ready... Set... Do We Have to Go Yet?